A rose, by any other name, is still a rose and beautiful dried roses were the inspiration for this enchanting collection. My Dried Roses were turned into illustrations and those illustrations make up the charming floral papers. These same roses were used in their totality to create coordinating embellishments. 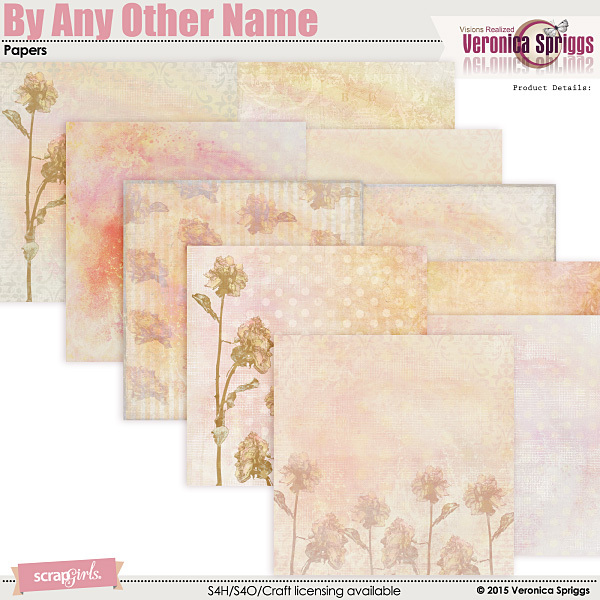 Purchase the By Any Other Name Value Pack and get this set of Quick Pages Free! 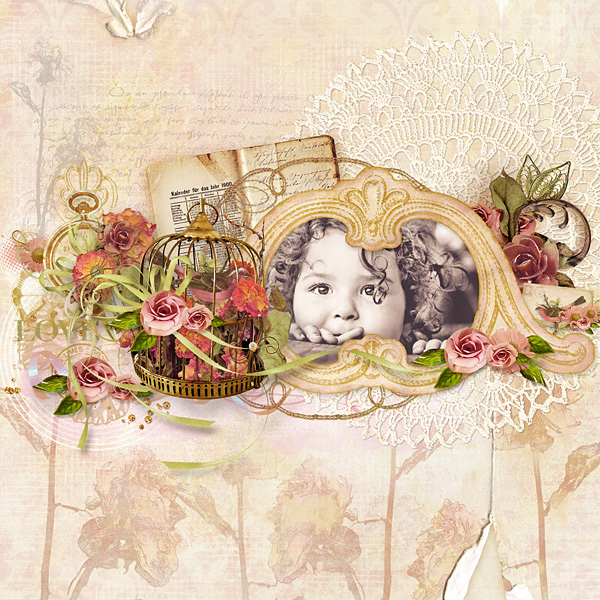 Enjoy these quick pages created by Veronica and her creative team as a gift to you with purchase. Delightfully elegant Halloween words complete this Photoshop Brush Set. This brush kit included an ABR file for Photoshop and Photoshop Elements users, as well as PNG files for users of other graphic programs. 8.5x11 Elephants Fly Paper Biggie includes 16 papers vibrant orange, yellow, green and blue. They will add encouragement and hope to your 8.5x11 digital scrapbook pages. Vintage inspired ephemera jam style labels, tags and tapes. Great for adding titles or as part of your hybrid projects. Coordinates with the Strawberry Fields Collection Mini.